People gathered in Concord, Mass. to honor fallen service members with a ruck run before the Boston Marathon kicks off Monday. Hundreds of members of the military and first responders marched all 26.2 miles of a marathon in full military gear Sunday. 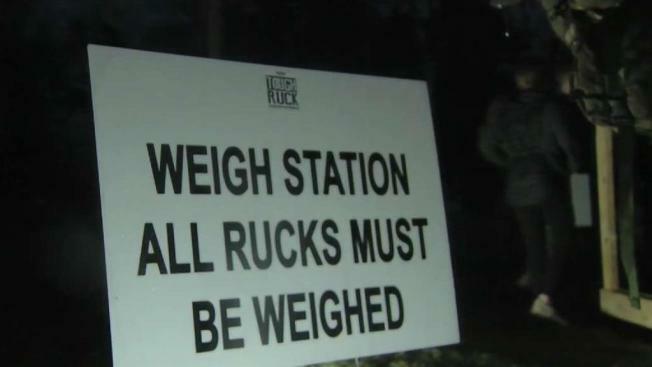 The Tough Ruck Marathon raises money for family members of soldiers, firefighters, police officers and EMTs who have died in the line of duty. Runners have nine hours to complete the course, and the race starts and ends in Concord, Mass. The race has an official partnership with the Boston Athletic Association.